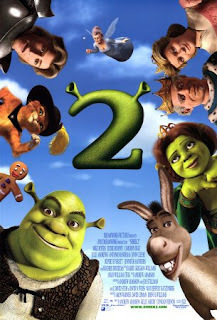 I know it's kind of random to pick the 2nd film in the series, but Shrek 2 is way better than its predecessor. Why? Because it was funnier! 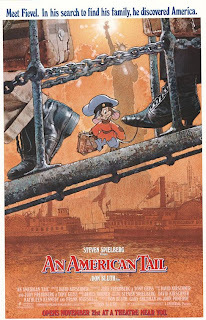 An American Tail An American Tale was entertaining as a kid, but now when I watch it I realize the history that it's based on (the oppression of immigrants who came to America). Great film. 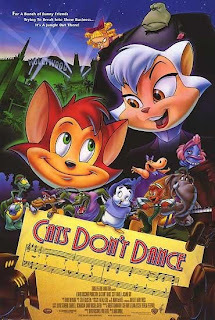 Cats Don't Dance The soundtrack and the choreography in this movie is Amazing! I honestly don't know nor do I understand why this bombed at the box office. Spirited Away Yeah yeah, I know that Disney "produced" the English version, but they didn't change anything (or at least not much), they just did voice overs. Visually, Spirited Away is stunning. 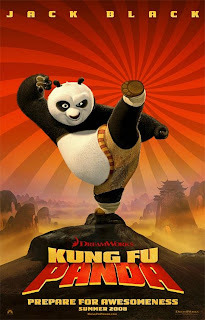 The story was ok, some things I really didn't get, but it is a fantasy..
Kung Fu Panda I thought this movie was going to be cheesy like *ahem* Madagascar, but it was great! The 2d animation was unexpected, but very cool. Plus, it has a nice story that kids can learn from (learning lessons is very important to me when it comes to children's movies). 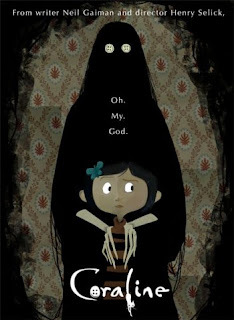 I was hoping it would win the Oscar, but of course, it lost to Disney's Wall-E.
Coraline Coraline is the first 3-d movie I had ever seen and it was the epitome of awesomeness! I had read and loved the book in middle school, and the film definitely did justice to it. I really didn't get why one of the old actresses had to skip around in pasties and a thong (I had my 8 yr old brother with me, and I didn't like him seeing that), but other than that, it was an amazing film! The Prince of Egypt I think I've seen this movie about 6 or 7 times. Not only does it look great, but it has an awesomeamazing soundtrack. The filmmakers did a great job adapting the story of Moses into an animated film. 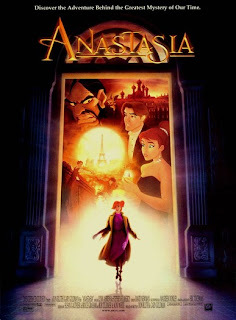 A lot of people mistake Anastasia as a Disney film, but it's actually a 20th Century Fox movie. I have a strong feeling that the filmmakers were influenced by Disney, but whatever, it's a cool movie loosely based on historical events (in reality, Grand Duchess Anastasia was never found alive). The Iron Giant is another movie that didn't deserve to bomb. It's directed by Brad Bird (The Incredibles) and is set during the Cold War. I absolutely love it. It looked great, the story was excellent, and it had a great message. This movie should have been nominated for an Oscar, seriously. I'm sure that I'm missing some great ones. I've heard that Bee Movie was good, but I just haven't had any interest in watching it yet. You forgot Wall-E! I love that movie! Wait, is that Disney-Pixar? No love for "Titan AE"? "Iron GIant" is hands down one of the best animated films ever made. Not sure how Disney let that one get by, but it's a classic! Good picks! I haven't thought about Fievel in a long time. He was the cutest little mouse and that song "Somewhere Out There" is completely adorable. I'll have to add that movie to my collection. 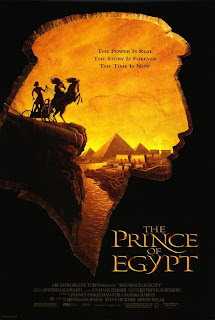 Prince of Egypt was sooooo great as a kid, I remember getting emotional. i think i watched it in high school or something. See The Triplets of Belleville. Superb animation, one of the songs was also nominated for an Oscar. Oh dang! All this time I thought "American Tale" and "Prince of Egypt" were Disney movies! Disney gets my automatic credit for animated films. Wow. I've only watched parts of Titan AE. It's another visually stunning movie, but I can't judge it since I haven't seen the whole thing. My friend has been trying to get me to watch The Triplets of Belleville for a while. I'll finally have to cave in and watch it! I loved Kung Fu Panda. Really well done and gorgeous. Loved all the muted colors. I'm no expert, but I'm sure Iron Giant and Cats Don't Dance bombed due to poor promotion. Lord knows it wasn't because of poor quality plots and animation. Ironically, I first saw both movies on the Disney Channel - back in the 90s when they still had quality programming. I LOVE these movies! Yay! Yay for animation! It makes me so happy and there's so many great films out there that get passed by...sadly. Triplets of Belleville is incredible. Off the top of my head, I'd also recommend Watership Down (dark, allegorical children's story), Fantastic Planet (French heady Sci-fi from the 70s), anything by Bill Plymton (adult, but outstanding animation), anything else by Miyazaki & Studio Ghibli (Spirited Away), and Grave of the Fireflies (possibly the saddest Children's story around). But yeah, there's so much more than the Disney Factory (some films of which I love, by the Way). The more parentheses the better. hehe. i'm new... expectancy to brief nearly more time after time! i'm new... anticipation to despatch nearly more regularly! Hey, know About Bulbul Ahmed biography? 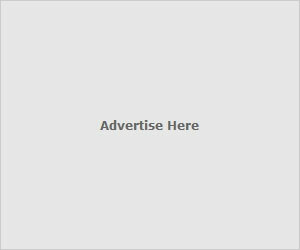 Visit Our page or Click here to read this article.